Wow – this looks as bad as (or worse than) that rancid Beach Boys musical that was around a couple of years ago. I’m surprised that Colin Escott would be part of this; obviously, there’s a very good story to be told, but I gather that this isn’t the telling it deserves. “Jersey Boys” was special; nothing else has come close. Very sad. Baby it’s You is a good play and worth seeing. My only disappointment was not hearing Will You Still Love Me Tomorrow one of the Shirelles biggest hits. Shame on those who wouldn’t allow it in the show. 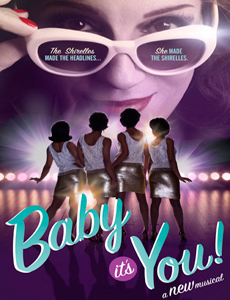 « SHIRELLES SUE “BABY, IT’S YOU” TO STOP THE OPENING TONIGHT!